When life gives you lemons, make cute outfits! Start with Lauren Conrad’s new lemonade-inspired collection, featuring fresh-picked prints, playful patterns and sweet details. Find LC Lauren Conrad dresses, tops, jeans, bags, shoes and more in Kohl’s stores and on Kohls.com: https://bit.ly/2Na65YI. I could not be more excited about my new line that is launching at Kohl’s today… say hello to the brand new (and completely redesigned) LC Lauren Conrad Denim Collection! And it’s all because of you, my customers. You asked for updates to our jeans, and we listened. As I have mentioned, I am always reading product reviews on Kohls.com and listening to your comments on social media. I also know from personal experience how hard jeans shopping can be so I wanted to design the perfect pair. Starting today, you can shop the full line of LC Lauren Conrad denim at Kohl’s, which includes plus sizes, petite sizes, and so many new styles, fits and washes. The former star of MTV’s “The Hills” has created a full lifestyle brand, from clothing lines to books. Now Lauren and her best friend Hannah Skvarla have cofounded The Little Market, an online nonprofit shop featuring products made by female artisans from around the world. As they prepare to open their first brick-and-mortar store, Fast Company met up with Lauren to discuss the company’s goals and how she takes big leaps in life. In the intervening years, Lauren Conrad has had a hand in everything from clothing lines to books, cultivating a uniform aesthetic along the way. More recently, she has focused on the nonprofit she founded with best friend Hannah Skvarla, The Little Market. The women-empowering company works with female artisans all over the world, especially in areas where women have more restricted rights, to help them sell their wares, which range from handbags and accessories to home goods and baby gear. It’s a business model Conrad could better appreciate after hitting a recent milestone in life. Summertime is one of Lauren Conrad’s favorite seasons. Check out her style tips for dressing key pieces up and down, including a short suit, a sundress and a tropical button-down shirt. For day or night, it’s all in the accessories! Shop the LC Lauren Conrad summer collection for fashion, jewelry, handbags, shoes and more at Kohl’s. The LC Lauren Conrad collection is inspired by the carefree yet confident designer herself. Brought to life by modern silhouettes, softly feminine details and inviting home decor, the collection is designed for a chic, effortless lifestyle. Lauren Conrad has joined the team as a guest editor for Fashion Week at E!. 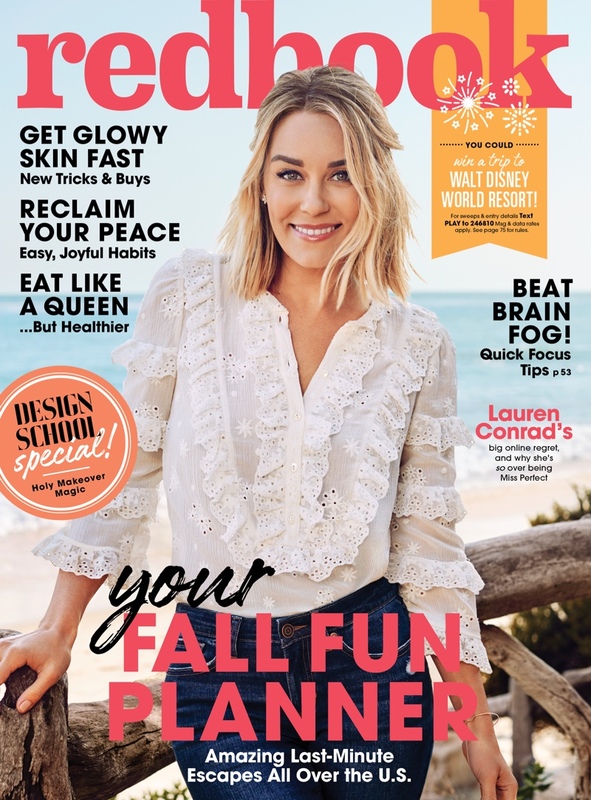 Along with unveiling her third Kohl’s LC Lauren Conrad Runway Collection on September 6, the style expert will be breaking down her favorite fall trends and accessory must-haves all throughout fashion’s favorite week. Today, the lifestyle mogul recalls her first time at fashion week (hint: there’s a special appearance by a The Hills co-star), what’s new about her latest line and, of course, her NYFW essentials. I think my first time going to fashion week was filming the pilot of The Hills. I was there for like five minutes. I walked into a show and walked out—so I don’t think that really counts. My first time attending a show for New York Fashion Week was about 10 years ago, and I went for the week with Audrina [Patridge]. We were actually doing a story for Us Weekly, like my fashion week diary. It’s funny—the writer of that article actually became my friend and is still one of my very good friends. I wrote my last book with her. That was the fashion week that I made one of my really good friends. That was something quite honestly I never expected to do. It was kind of surreal. To be able to show during New York Fashion Week, with so many designers that I respect so much, I was pinching myself the whole week. I think no matter how many times you’ve done it, you’re nervous. For the LC Lauren Conrad Runway event happening September 6, I’m wearing one of my favorite dresses from the collection. It’s a midi dress with a really pretty print. It has sort of a ruffle detail around the top. I’m going to layer on top of it with one of our faux furs that we did, which is so much fun. I wanted to do [plus-size] for awhile. When you have a brand like mine, it grows slowly. And you’re given categories one at a time, so I was thrilled to include plus with Runway because it felt like a celebratory way to launch the category. I didn’t want the plus-size pieces to be any different than the regular collection. I just wanted to extend the size run. That was one thing that I felt like, when I was doing my research, that I was having difficulty finding: all the trends you’re seeing on the runway—I just felt like I was having a hard time finding them in the plus category, so I wanted to make sure this line was no different from the existing one. For New York Fashion Week, this time of year, caffeine is number one. You just never stop moving throughout the week. I just drink black coffee—I can’t mess around. That or green tea. I just try to stay awake. Bouncing from show to show, I try to keep translucent powder. I always feel like I show up after getting my hair and makeup done and I’m like, “I wish I brought powder with me.” Laura Mercier does a nice one—it’s so good. And an iPhone charger in my bag, because my phone is constantly dying. You’re snapping a million photos and constantly texting and using your maps to find each show. I always really love Kate Spade showings—it’s just so fun. For me, that’s what fashion week is about. They always do such a good job. I’m excited to see Self Portrait and Brock Collection. Ulla Johnson is a new favorite. I think those are the ones that resonate with me the most. Those the lines I’m most likely to shop myself.